Eleven years after setting the single-season home run record (49) for rookies, Big Mac shattered Roger Maris' single-season home run record of 61 in 1998, finishing the history-making season with 70. 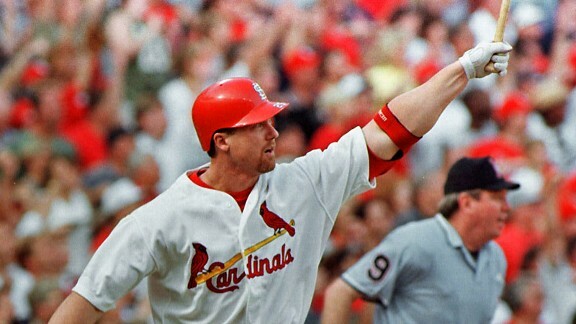 From 1996 to 1999, Big Mac slugged 245 of his 583 career home runs. He averaged a home run every 10.61 at-bats in his career -- better than both Barry Bonds and Babe Ruth.